These uniquely shaped vertical banners chronicle the evolution of select logos or mascots through the years. Each logo is identified with a circa date connecting each to a specific time period. Each banner is constructed with appliqué and embroidery detail on a heavy wool blend fabric, providing a vintage feel and look. 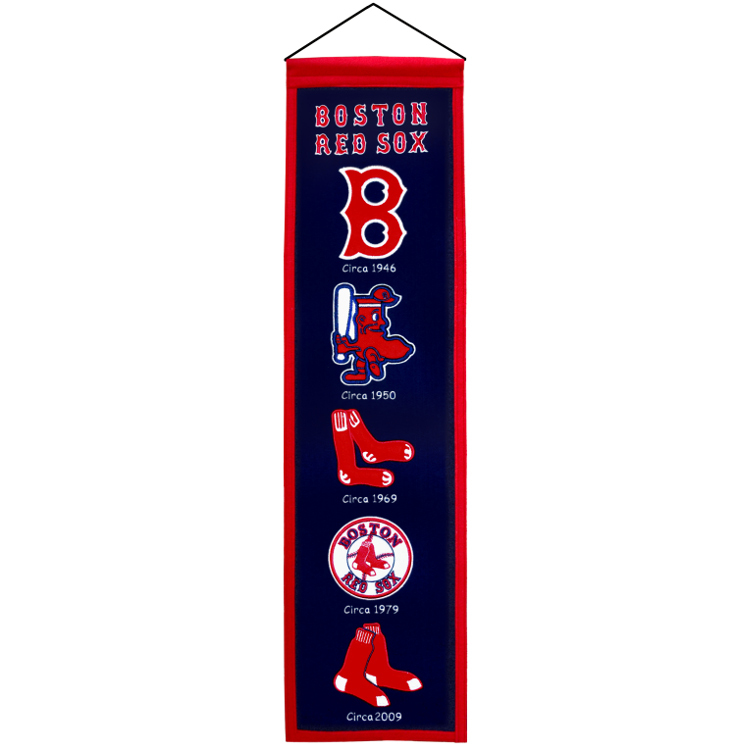 Each banner measures 8” wide x 32” long and includes a hanging cord for easy display. Also available for other MLB teams.